In 1885, Alexander Graham Bell (along with his wife, Mabel, and two daughters, Elsie and Daisy) came to Baddeck on vacation. They were so awestricken by the beauty and Gaelic charm that they returned in 1886 to begin building their estate on a point across from Baddeck, overlooking the Bras d’Or Lake. Their estate, which they named Beinn Bhreagh, became the home of inspiration for Bell’s final, and most productive years, following the invention of the telephone. 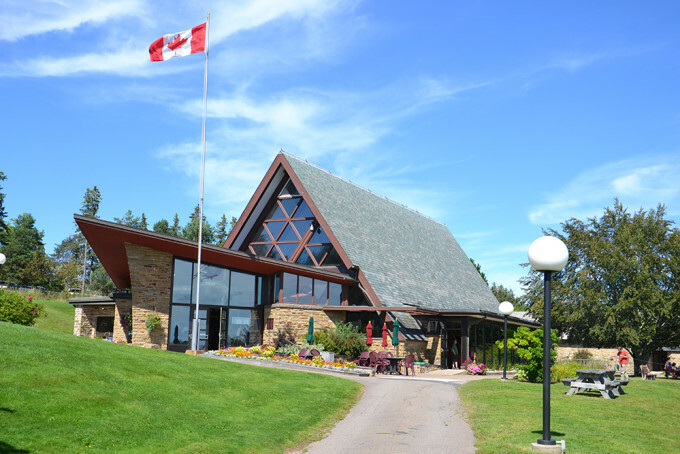 Baddeck is now home to the Alexander Graham Bell National Historic Site, built in 1954, and features artifacts and memorabilia associated with Bell’s experiments. Complete with full-scale replicas of the HD-4 hydrofoil boat, and the AEA Silver Dart (wikipedia article here: highly recommended reading! ), the museum is now also home to a performance stage, professional lighting grid, and dozens of acoustic panels. So, thanks to Lorna MacDonald, Parks Canada, and The Bells of Baddeck, the space has been converted into a fully-fledged performance venue. How privileged we are to launch our 2015 SEASON in this venue, surrounded by a century’s worth of creative and innovative inspiration. If you’re on the coast or planning a visit, be sure to check out The Bells of Baddeck, running until August 2nd.